It’s been a busy spring and summer season so far – with lots of work being done by our warden team and volunteers to maintain the anti-predator fence around Sutton’s marsh. The fence works by excluding foxes and badgers from the reserve, in order to protect ground nesting birds (such as lapwings and avocets) during the breeding season. We’ve also been doing lots of surveys to see how successful the wildlife is doing, and if there is anything more we can do to help them! Lapwing nest by Will Fox. 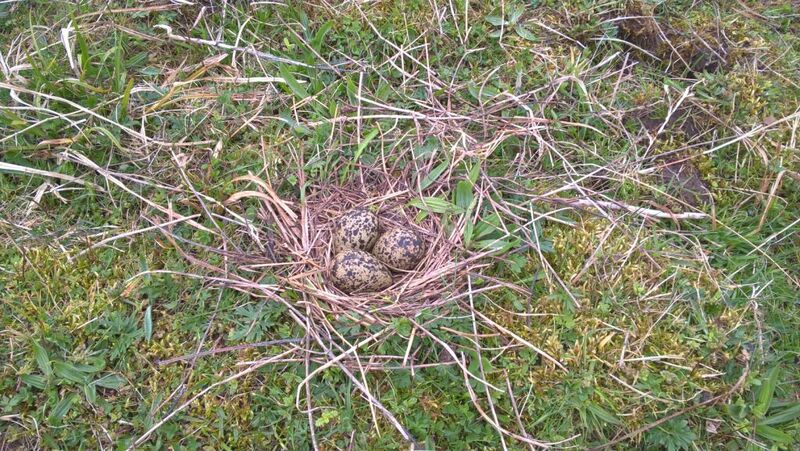 This is a lapwing nest we found earlier in the season. 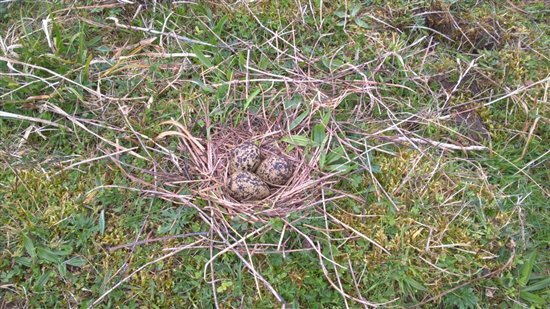 We’ve had a good number of lapwing nests appearing this year, but sadly we aren’t seeing many chicks reaching fledgling stage. Predation is likely to be the biggest factor in this, with gulls, crows and even an otter seen on the marsh taking eggs and chicks. On Rimmer’s marsh (the side without a predator fence), a family of foxes has taken up residence, offering great views of the vixen hunting, but also sadly reducing the number of young birds we’re seeing. It’s not all bad news though, as we move into the summer we’re beginning to see some of the fruits of all our hard work. Young avocets can occasionally be seen on the saltmarsh and at Hesketh Out Marsh – many are at adult size now but their wings and back still appear more brown and patchy, rather than crisply defined black and white. Great views of some tufted ducklings can be seen from our visitor centre, as well as many young black-headed gull chicks, swallows and starlings. Over at Hesketh Out Marsh, our tern rafts have been successful with two arctic tern nests successfully hatching chicks, and a further two nests near Karen’s viewpoint. There are also regular groups of black tailed godwits, dunlin and an eider duck frequenting the site. Work is progressing well on the East side, where Environment Agency contractors are creating new ditches and pools that will be flooded in September when we breach the sea wall. This will create a new area of rich saltmarsh habitat, as well as helping with flood alleviation and providing great views of wildlife. 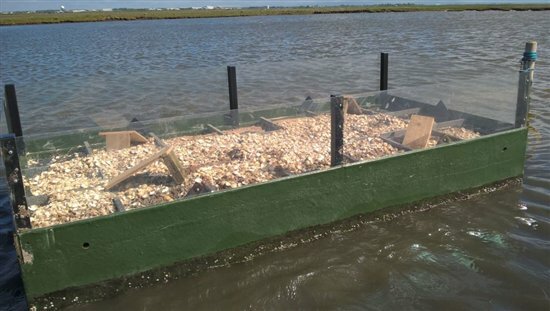 Tern raft (pre-nesting season) by Will Fox – we cover the base with a mixture of sand, stone and shells, which terns like to nest on, as well as little wooden shelters for the chicks to hide under. Some slightly rarer visitors to Marshside include a male scaup and several adult cattle egrets. It’s a great time of year for moths and butterflies, with hundreds of colourful burnet moths out on the sunnier days. You can identify them by counting the spots on each wing – I’ve spotted lots of six-spot burnet moths, but how many spots have you spotted! ?